Col. Bud Day. We urge you to watch this clip from "Medal of Honor" and show it to your kids, grandkids, and everyone around you. Do your part and teach the people in your life that freedom is not free. Everyone needs to know what our veterans have done for us and for freedom and humanity. It is truly beyond words. Yesterday, I (Stacie) rode in a taxi. But it wasn't just any taxi. It was a God-given opportunity. The lady enjoyed being a taxi driver. But her life's road included lots of rough terrain: Her father served in the Air Force. They moved and moved and moved. It was hard. In response, I thanked her for not only her father's service, but also for her family's sacrifice. She responded warmly and appreciated it. I shared about Jesus, and she couldn't have been more grateful. (I felt grateful, too!) I thanked God for arranging our paths to cross. The point of the preceding story is this: In addition to the serviceman and servicewoman, everyone in a military family needs to be thanked and loved. 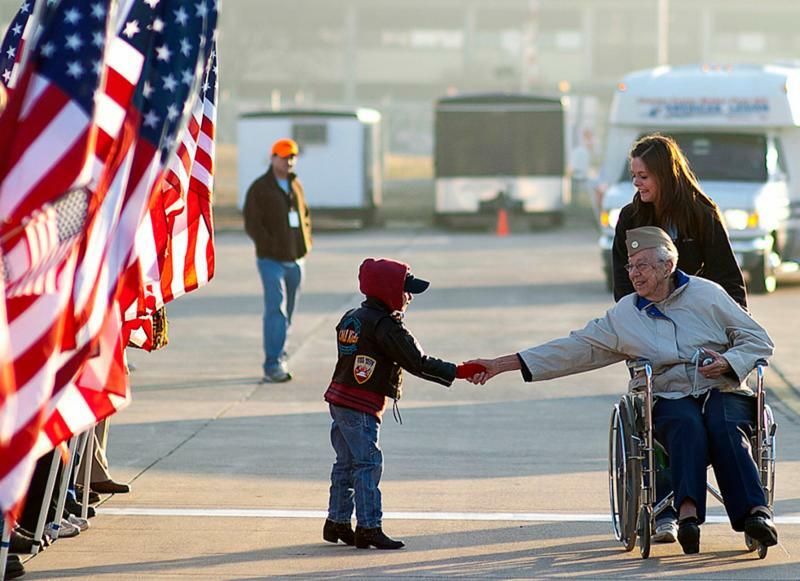 This Veterans' Day, let's remember veterans and their families. Share the Gospel in word and deed. Reach out. Veterans selflessly served their country. They did their duty. They did their job. Many don't expect to be thanked but they certainly deserve to be. We must do our part and give them honor, respect, and thanks on Veterans' Day and all year through. We implore you to do something to stand beside our veterans and current servicemen and women. Please watch the above video about Col. Bud Day's hellish experience as a POW. We were humbled to call him a friend. He was a great man who loved his country but he also loved Jesus Christ. His life is a powerful example to us all. Again, we all need to just do something to show our thanks. Make it a goal to reach out to at least one veteran and his/her family this Veterans' Day. 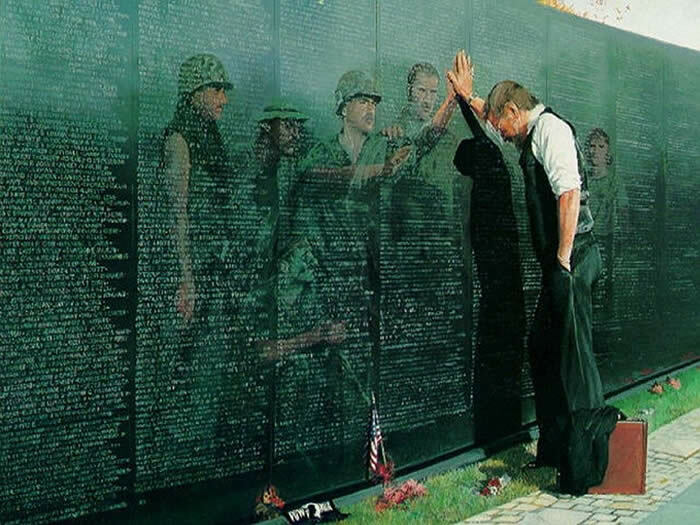 Remember, freedom is not free. And, yes, we live in the land of the free because of the brave. Don't take it for granted. Donate to organizations like the Wounded Warriors Project, One Touch Awakening's Project Pillows, or A Million Thanks. These organizations do amazing work to give back to our nation's heroes. 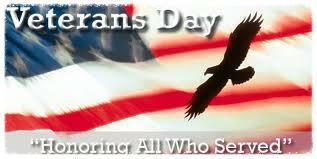 Call, send a card, text, or e-mail the veterans and servicemen and women you know and thank them for their service. Send them gifts or give the gift of presence (most of all). Just stop by for a visit. Don't forget our elderly veterans in nursing homes. Visit them and let them know you remember and care. Show support to entire military families. Give a gift card. Let them know you are praying for them. Send a card, stop by with a meal, or send a gift card (i.e. for a restaurant). Do something to stand with our military families. Don't be shy -just say 'thank you'. For instance, watch for military hats at Wal-Mart and say, "Thank you for your service." Many times people just don't know what to say to thank veterans. A simple 'thank you' is a good place to start. Many have rarely heard that. Sign this petition by the ACLJ to defend the rights of Christians in the military. It's a great way to stand with our current servicemen and women. If you see a veteran eating alone in a restaurant, say thank you and, if possible, pay for his meal. 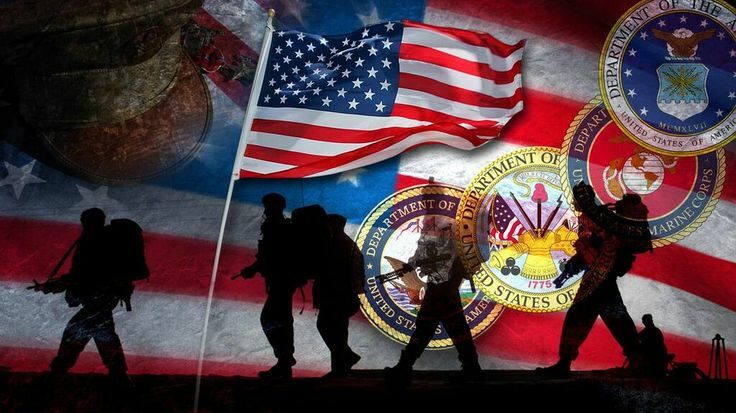 A gift to veterans is to become an informed voter who defends our nation's defenders: Honor veterans and do everything you can to protect freedom on the home front. We've talked to a lot of veterans who feel discouraged by the state of the nation. We urge you to do your part to turn this country around. Vote for candidates who will stand by our veterans and Constitution, get involved in civics, teach your kids about why America is special, etc. We suggest that you read our book Unite the USA: Discover the ABCs of Patriotism. It's a guide that explains how you can make a big impact on our country. Participate in and check out Concerned Veterans for America (CVA). It's a wonderful organization that is speaking up for veterans. CVA's mission is to advocate for policies that will preserve the freedom and prosperity that we and our families so proudly fought and sacrificed to defend. Push for reforms in the VA. The corruption within the Department of Veterans Affairs (VA) is absolutely appalling. For example, thousands of veterans have died waiting for healthcare because the waiting lists are so long. The VA is failing our veterans. Take action here and get the word out to your family and friends. We need to stand up for our heroes. Just do it. Read what the CVA has to say about the VA problems: The Department of Veterans Affairs (VA) is failing America's veterans. For too long, veterans of all generations - and their families - have been underserved, overburdened, and flat-out ignored by an unaccountable and corrupt bureaucracy. Stories of long wait times for routine care, mistreatment and manipulation of data to cover up malfeasance are emerging from facilities nationwide. It's clear that the VA - as it exists today - has lost sight of its mission of service to veterans and their families. The executives and managers responsible for these delays and deaths were not fired. Instead - outrageously - many were given performance bonuses. Even after a year in the headlines and on the front pages, the VA scandal still has not prompted any firings. There is no accountability at VA. When congressional committees and advocacy organizations seek answers, VA stonewalls the investigations or refuses to answer questions. There is no transparency at VA. When veterans seek other avenues for care, they find nothing, because there's no choice for veterans who use the VA.
Let's be clear about one thing - the problem is not a shortage of resources. VA funding has increased by over 65% since 2009 (from $98 billion to $165 billion) and Congress has funded nearly every department priority over that timeframe. VA is awash in new programs and initiatives, many of which make lots of new promises. However, the VA and the Congress that funds it, should not make any new promises until it makes good on the promises it has already made. Of course not all VA facilities, programs, and employees are failing; there are some great hospitals, great programs, and many great employees. However, these bright spots are the exception-not the rule. Overall, VA is a calcified bureaucracy unable to meet the basic needs of veterans. VA responds to criticism by denying problems, stonewalling inquiries, and finding quick fixes to distract the media and watchdog groups. What's needed now are real reforms backed by a grassroots army of advocates ready to fight for them. Enter, the VA Accountability Project. 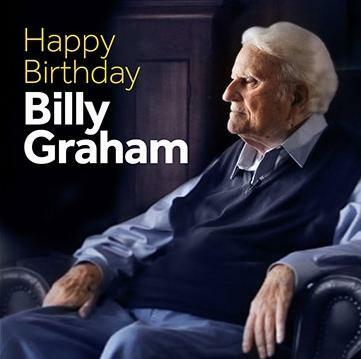 November 7 was Billy Graham's 97th birthday. Join us in wishing this very special man a Happy Birthday! "Our country's in great need of a spiritual awakening. There have been times that I've wept as I've gone from city to city and I've seen how far people have wandered from God. I want to tell people about the meaning of the cross. Not the cross that hangs on the wall or around someone's neck, but the real cross of Christ...With all my heart I want to leave you with the truth, that he loves you, and is willing to forgive you of all your sins. Sin is a disease of the human heart....There is no other way of salvation except through the cross of Christ. Today, I'm asking you to put your trust in Christ. 'Dear Heavenly Father, I know that I'm a sinner, and I ask for your forgiveness. I believe you died for my sins, and rose from the dead. I turn from my sin, I repent of my sins, I invite you to come into my heart and life. I want to trust and follow you as my Lord and Savior. In Jesus' Name, Amen.'"